The 2012 Cotsen Open/AGA-Tygem Pro Qualifier was held April 28-29 in Los Angeles, CA. 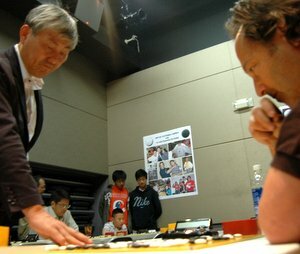 One of the major tournaments on the American Go Association’s annual calendar, the event is sponsored by Eric Cotsen and this year major organizational support was provided by Myung-wan Kim 9P and Andy Okun; Chris Sira was the Tournament Director. Cho Hunhyun 9P topped an impressive list of professional go players in attendance, and top boards were broadcast by the American Go E-Journal (see “In Appreciation” below for complete credits). 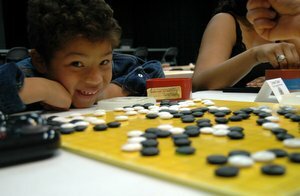 Cotsen Drawing Record Crowd in L.A.
Cotsen Open Set for this Weekend in L.A.